give an indication of his or her personality? I am currently studying Equine Behaviour at the University of Guelph. For my major assignment I am researching the connection between facial whorls and a horse’s personality. Could you please complete the following survey (instructions below). 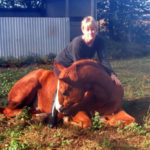 You will find out instantly if your horse is an Extrovert or Introvert and right or left brain. If you would like to be advised of the outcome of the study please include your email. PS If you have any questions please don’t hesitate to contact me by using the form at the bottom of this page. Step 1. Print out and complete the HORSE PERSONALITY QUESTIONNAIRE. Step 2. Print out and complete the HORSE WHORL LOCATIONS FORM (You will need to visit your horse to complete this form). Step 3. 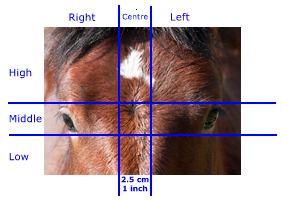 When you have completed the Horse Personality Questionnaire and the Horse Whorl Locations Form fill in the survey below with the information you have collected.